It’s not always easy to find cute sleeping bags for the occasional glamping trip or a weekend sleepover. Lucky for you, it’s easier than it looks to make your own for yourself or someone in your family! I made two sleeping bags for my two older kids as they may soon be spending a little more time at Grandma and Big Papi’s house, but I may also made myself one to match because I’m pretty jealous that they get to sleep in these. 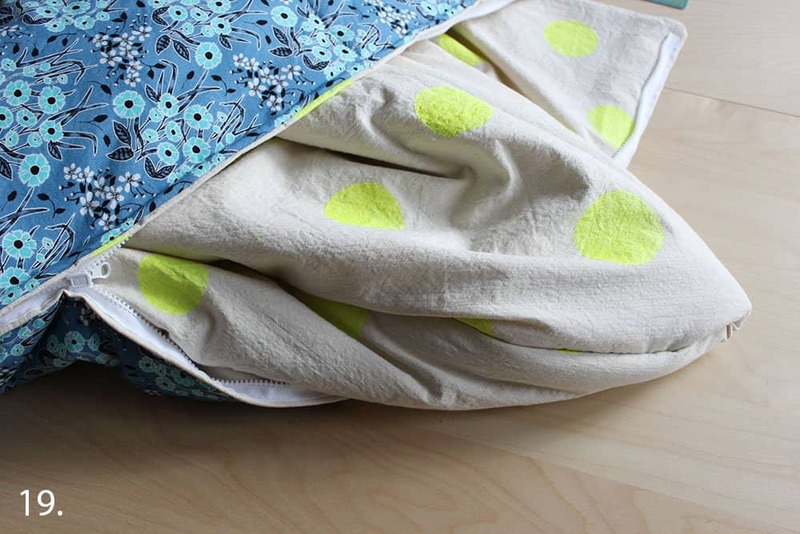 Making your own sleeping bag is very similar to making a duvet cover only you are sewing all the way around the perimeter, folding it in half, and attaching a special zipper. 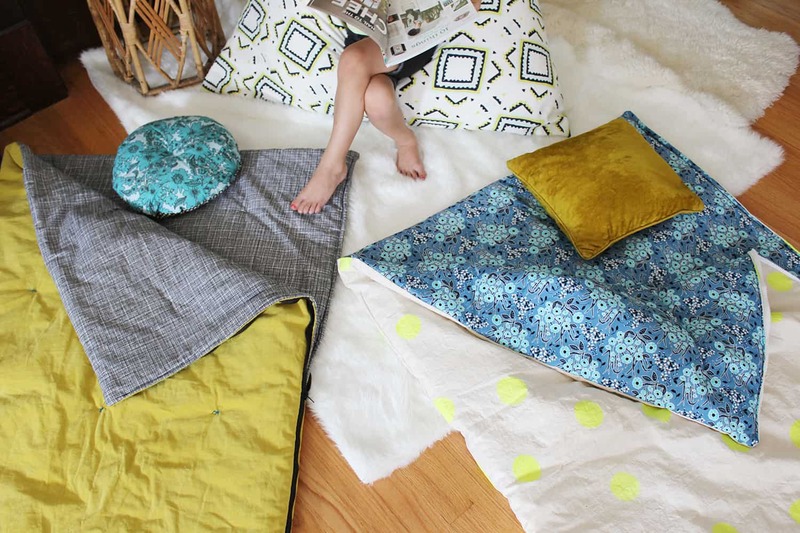 You can easily adjust the length depending on whether you’re making this for an adult or a child, and the fabric options are only really limited by your imagination. 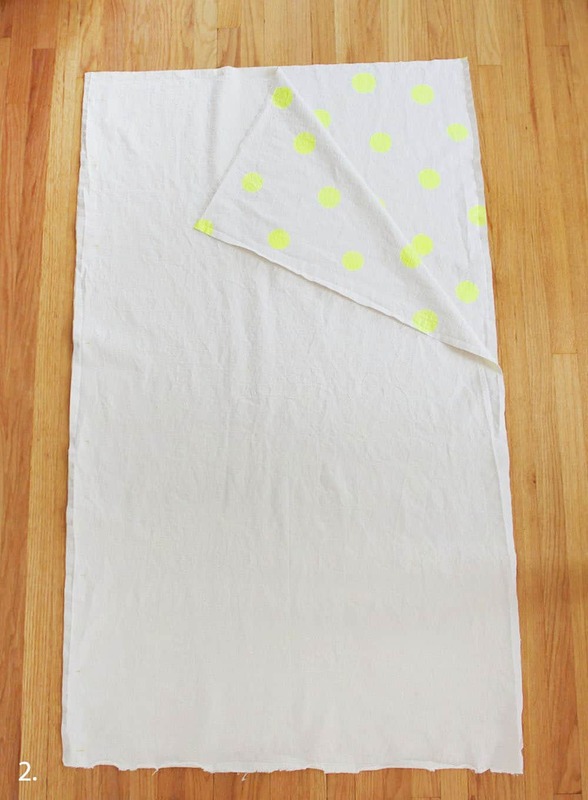 Step One: Before cutting my canvas, I randomly hand-painted neon polka dots all over with fabric safe paint. I didn’t want it to feel too precise, so I just eyeballed it. I then allowed it to dry all afternoon before moving on to the next step. 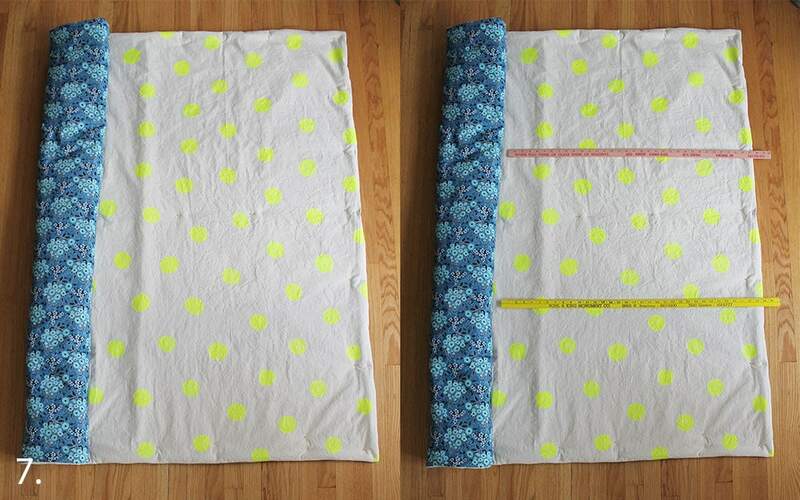 Step Two: I made two child-sized sleeping bags so I had three yards of my outer fabric. I cut that precisely in half to get two equal lengths. Then I faced them with right sides together, lined them up along one of the long seams and pinned my straight pins every 6″ or so. I followed this by stitching down the length of that pinned side and then removing the pins. This created a squarish shape when unfolded. Step Three: I basically repeated steps one and two with the inner fabric. I cut my three yards into two equal lengths measuring 1.5 yards each. I then faced the right sides together and pinned along one of the long edges. Finally, I stitched along that long edge and removed my pins. Step Four: Next, place your outer fabric on the ground with the right side facing up. 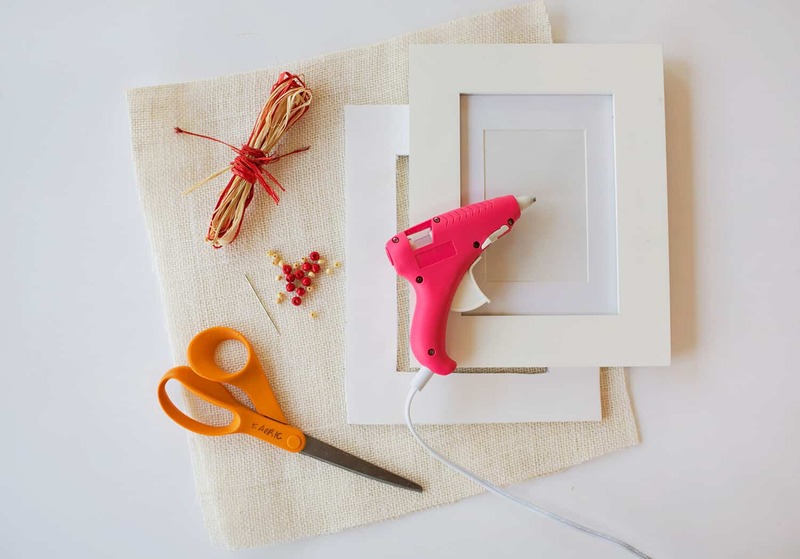 If you have non-carpeted floors, you can tape this piece down for a less wrinkled process. Then lay your unfolded inner fabric on top of the outer fabric so the right sides are facing each other. Be sure to line up your edges as best you can. Finally, lay your batting on top of the inner fabric and line up your edges. Smooth out your batting and pin all three layers together every 8″ or so along the perimeter where all three layers meet. If you have extra batting that hangs off two sides, trim it off. Take this beast to your sewing machine and stitch along the perimeter of your fabric sandwich. Don’t start at the corner as you’ll want to leave about 8″ unstitched so you can turn it right side out. 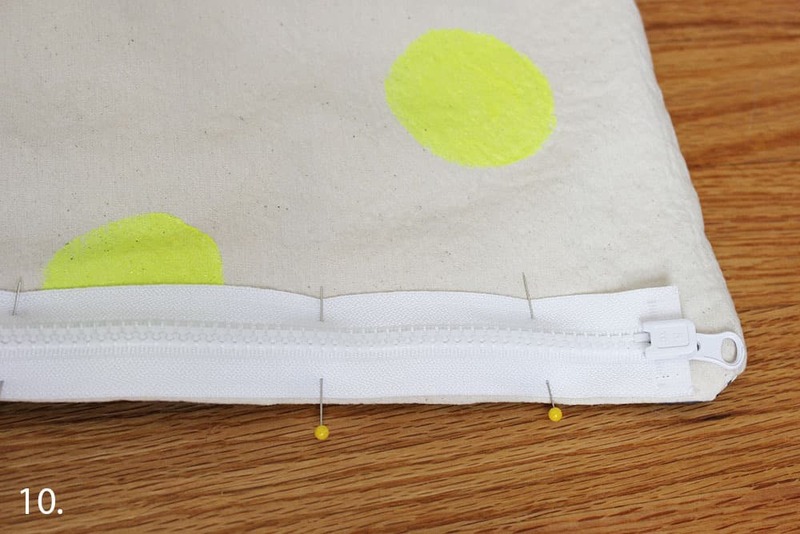 Trim your corners and remove any remaining pins when you’re done stitching. Step Five: Turn your fabric sandwich right side out and be sure to poke out those corners. Step Six: Iron your open edge so that it folds into itself nicely and pin it closed as shown. You can hand-stitch this shut when you’re making a quilt or something similar, but we’re sewing a zipper over this part so you can stitch it shut with your machine. Just be sure to sew it a bit closer to the edge than normal. Remove your pins. Step Seven: Place your sleeping bag on the floor so the middle seam runs vertically. I rolled mine so you could see it better in the photo, but it’s not necessary. If you’re going to hand-tie your bag, you can skip this step. Otherwise, use yardsticks to split your panel into three or more equal sections. Use straight pins to mark where your stitched lines will be. 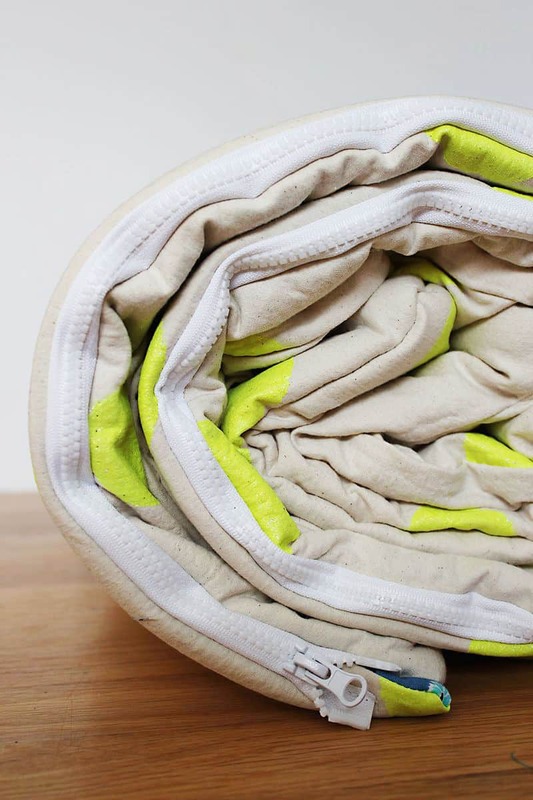 You’ll want to do this all the way across your sleeping bag to make it even. This will help your batting to stay in place when it’s washed and adds some texture as well. If you have a light colored chalk on hand, it may help to draw your chalk line before pinning. Step Eight: This is the necessary rolling part. 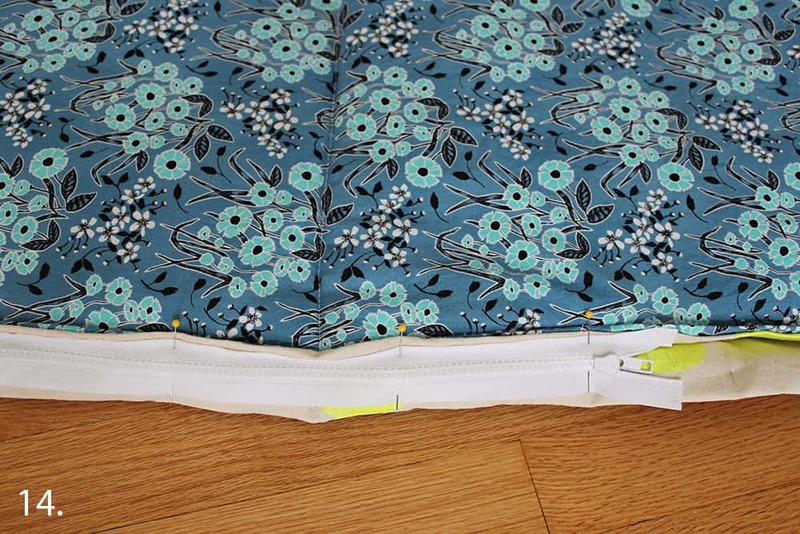 With your sleeping bag completely flat, roll the bottom edge up to your first row of pins. This will help you fit your bag under your machine. Step Nine: Stitch carefully along the line your pins created and remove them when you’re done. Remove your sleeping bag from under your machine each time you finish a row and then roll it up to the next row until you’re finished. Step Ten: Place your zipper near the top of the right edge of your sleeping bag so that the right side of the zipper is facing the right side of your fabric. This will look upside down but it’ll create a more finished look once we’re done. Line up the edges and pin every 4″. It won’t be as long as the length of your sleeping bag but that’s okay. Step Eleven: Unzip your zipper about 4″ to get started. If you’re using a zipper foot, this won’t be necessary, but if you’re using your standard presser foot, this is how we work around the fact that the zipper head is in the way. I wanted to show you this alternative method in case you are ever in that situation where you just can NOT find your zipper foot, or if you don’t have one. 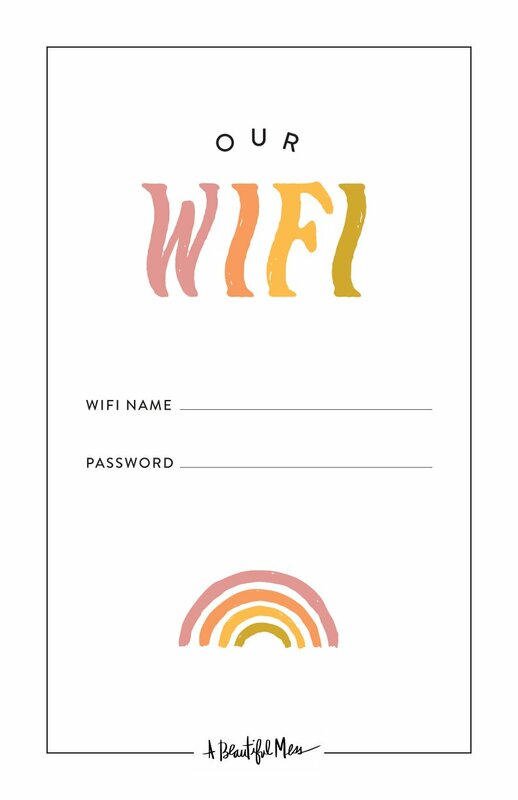 But, if you do have one, it makes life a little easier, so feel free to use it here. Start with a back stitch and then stitch down to the zipper head, making sure to stitch about 1/4″ from the edge. Lift your presser foot and pull your sleeping bag away from the machine about an inch to get yourself some wiggle room with the thread. Slide that zipper head back in place at the top, and then place your sleeping bag back under your presser foot where you left off. Continue stitching to the bottom. Step Twelve: Do the same thing with the bottom zipper head by stitching until you get to it, lifting your presser foot, getting the zipper head out of the way, and resuming your stitching. Step Thirteen: Back stitch a few times near the end. Step Fourteen: Fold your sleeping bag in half like a taco with the right sides facing together and pin the other edge of your zipper to the other edge of the bag. The right sides should be facing each other and the long edges lined up. Pin every 4″ again. This is the bottom of the zipper. Step Fifteen: This is the top corner of the zipper. 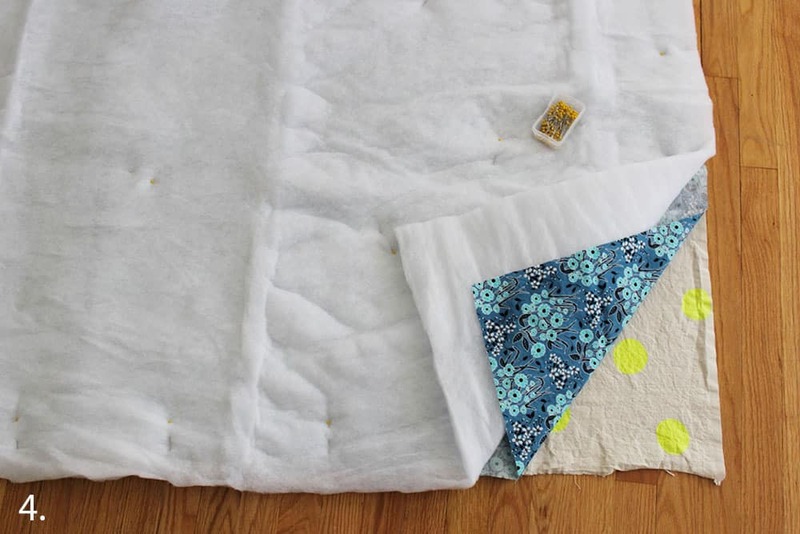 Be sure your top edges are even before you start pinning and sewing! Step Sixteen: Once you’ve sewn your zipper in, you’re going to want to enclose the bottom of your bag. Starting near the bottom of your zipper, pin along the bag so that the edges are lined up. Step Seventeen: Place your bag under your presser foot so that you start sewing about 1/2″ over the long ends of your zipper. Back stitch and sew about 1/2″ in diagonally as shown. Then pivot and sew down to the corner of your bag. Step Eighteen: Pivot your bag and continue stitching along that last length of your sleeping bag. Back stitch about 1″ from the fold in the middle of your bag as it may be too much fabric to try and stitch through it. Remove your pins. Step Nineteen: Turn your bag right side out and make sure to poke out the bottom two corners. Credits // Author and Photography: Rachel Denbow. Wow, never thought about sewing this myself. It looks so cool! This tutorial is awesome! While I don’t need to make my own sleeping bag (we prefer some heavier duty ones for camping) I’ve been wanting to figure out a solution for my dog’s sleeping bag while we’re camping this summer. LOVE THAT YOU USED THE DUAL SEPARATING ZIPPER, SO UTILITY-FUNCTIONING AND CUTE! 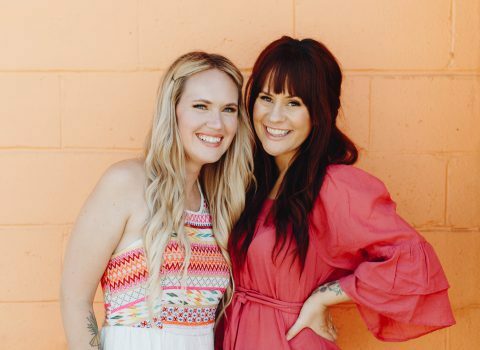 I always love Rachel’s DIYs! These would be perfect for a movie day at home. Thanks! 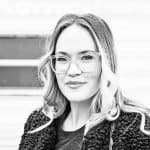 Agree, Rachel is an amazing writer / maker / artist! I always love the stuff she comes up with! This is so clever!! I would definitely do this as an activity before going camping! What a great idea! Loving the cute design and I wish I had some more sewing skills to make my own! It’d feel so special to take your own sleeping bag out for camping! 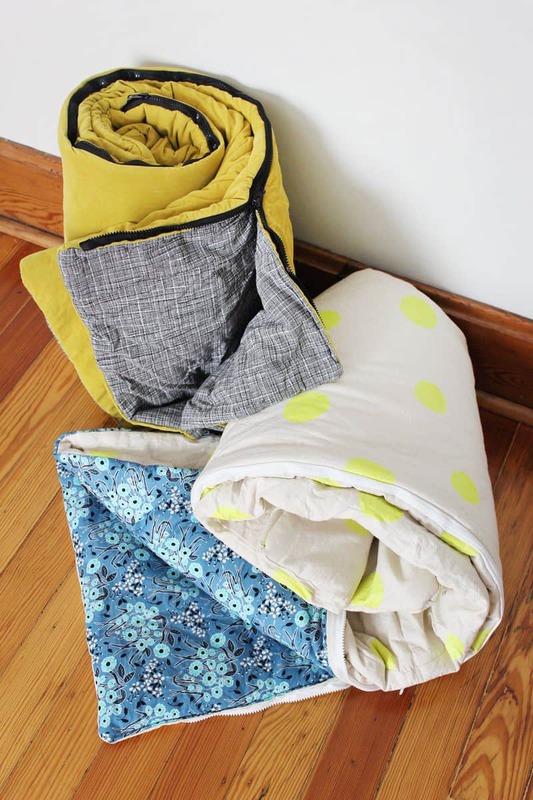 To do a really quick & easy sleeping bag. Take a twin size comforter Fold in half ( Long ways ) install a zipper to the sides & bottom, and you are the proud owner of a sleeping bag. I hit a dead-end at Step 15! It seems like there is something missing between 14 & 15, but maybe it’s just due to a misunderstanding on my part. 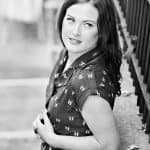 Could you take a look and help me out? Also, instead of enclosing the bottom of the bag, would it work to sew in a much longer zipper that will go down the side AND across the bottom? (If things feel “stuffy,” I like to be able to get my feet out into the open air. This is such a neat idea. Sleeping bags are so expensive– being able to make it myself not only would save money, but I could make it as lightweight or as heavy as I’d like. Thank you for this great idea! Just finished this sleeping bag project for our second grandchild. Tried another version and this one was much more clear and easy to put together. Well done! Love it and I know it will be well received.